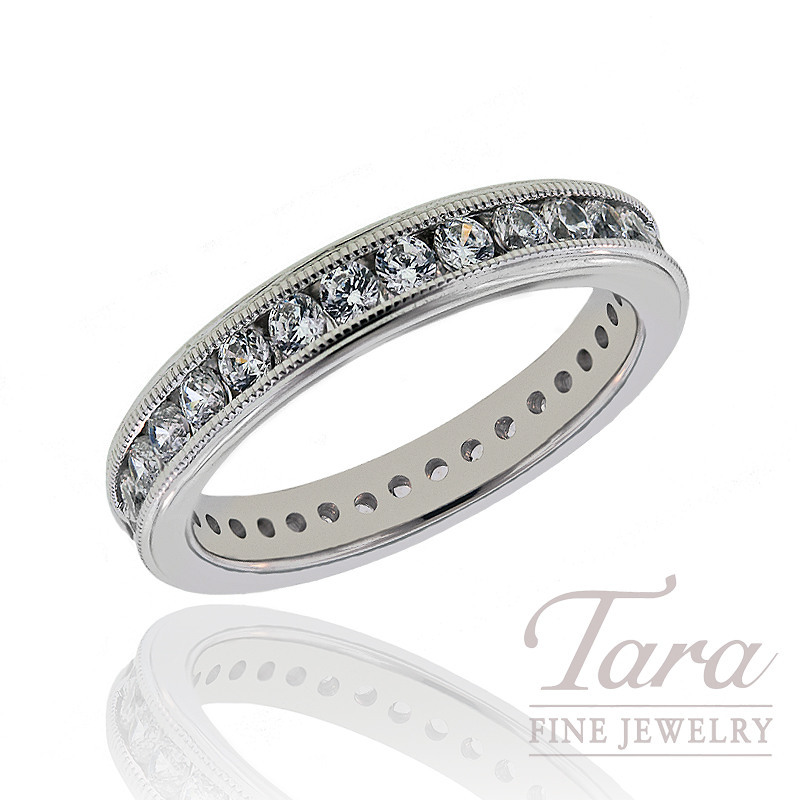 Check out A. Jaffe's beautiful diamond eternity band from the remarkable stackable collection! Featuring .90 CT TW in glittering diamonds, this A. Jaffe band is available to you in rich 14K or 18K white or yellow gold, or in platinum. Whether you are about to walk down the aisle or are celebrating a special anniversary, this diamond band is the perfect choice for marking your special moment of love. (For current pricing and availability, reserve yours today.) Come to Tara Fine Jewelry Company for the full line of A. Jaffe jewelry as well as designs from industry leaders around the world. The showroom is located in Buford 3 miles from the Mall of Georgia and is home to the finest selection of high quality jewelry and fine Swiss watches by Rolex, Omega, Tag Heuer and Breitling.